5 Best Tips For A Good Long Distance Relationships Work: So, enough of the black painting! No matter how stressful such a long-distance relationship may be, how hard the constant farewells and waiting times are falling - for the moments of reunion and the precious time with your soulmate you like to accept it, or that it is all the easier, there is some tips that you can heed as a "long-distance afflicted". Like any other relationship, love lives at a distance from the fact that it consists not only of past and present but above all of the future. In practice: Create perspectives together! Dream together: Where will you live later? How should your house look like? How many children do you want and what name will your guinea pig carry? Whether these plans come true later is almost incidental. Much more important is the shared dream. In the medium term, these include joint holidays and travel. Thanks, 21st century, for WhatsApp, voice note and video chat. Never before has it been so easy to keep in contact despite long distances. Of course, the cold smartphone screen does not replace the warmth and closeness of your loved one, but video chat and co. Help you to soften your longing. Do not just call when you have something new to tell - a relationship is so valuable because you always have something to talk about and share with others in your daily life. For all the love of the digital: If you want to surprise your friend, even more, you are quite old-fashioned to pen and paper! A funny postcard, a romantic love letter, a lovely little package with his favorite sweets and a personal note - who would not be happy about that? "It's important, despite the distance, to develop a relationship culture that gives the couple a we-feeling, including small, reliable rituals like saying good morning and good night, maybe even having breakfast together by video chat or eat together in the evening and exchange ideas? "says the couple therapist. Of course, this does not have to happen every day, after all, both of you have to live another life wherever you are. It is important that you also communicate this openly and not simply out of reach. "What's important is that both partners have the understanding that it takes some patience and tolerance to get used to this new relationship and that they both get along well with it, including binding rules that build trust and give the feeling that it is It is also essential that everyone makes a noticeable effort, for example through alternating visits. " Honesty also plays a central role: "Be open to each other: What do you like, what not? What's good, what would you like to change? So no subliminal dissatisfaction can spread." Attention, now it gets cheesy: Do you know the familiar feeling when you talk with your partner about shared experiences and make insider jokes that nobody else understands? Such shared memories create closeness and provide stability, which is particularly important in long-distance relationships. To enhance this effect, you could stick some of your favorite photos into an album or create a kind of treasure chest where you keep movie tickets, holiday souvenirs, and love letters. So keep your memories and dream on a rainy Sunday afternoon longing for the last beach holiday ... Also possible: They agree to watch movies and series together, each at the same time at their respective place of residence. Whatsapp or call on the phone. Okay, we're not all confessing long-distance fans! Nevertheless, you now know how to make love a bit more bearable at a distance: create commitment, rely on rituals and always remember that this situation is not for eternity. 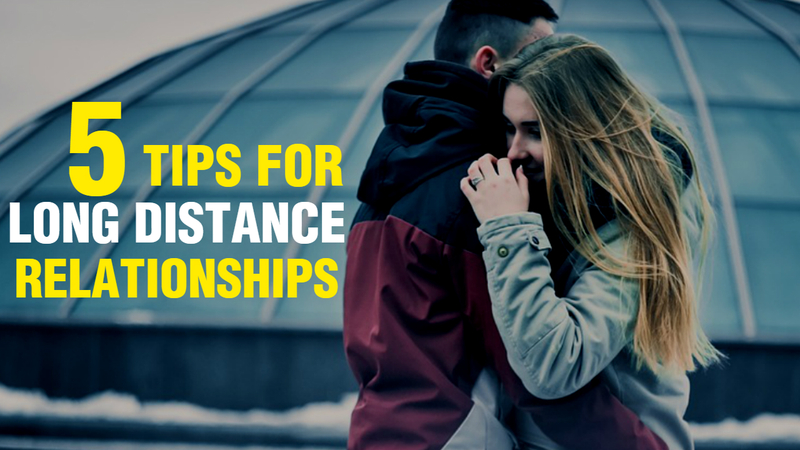 So start maintaining a long-distance relationship by following this tips.